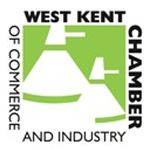 Last week DMP attend the monthly Business Exchange Evening organised by West Kent Chamber of Commerce and Industry (WKCCI). A fruitful evening of speed networking with a range of companies from across the West Kent community. This month the event was hosted by Barclays Bank in their impressive offices in Tunbridge Wells. Furthermore, we're excited to have met some key individuals who we look forward to building future relationships with. In addition, the WKCCI are always looking to welcome new businesses, you can become a member by visiting their website. Please mention that DMP have recommended you! Read our interesting case studies within our local area and further afield. We cover the whole of London and the South East, contact us for more information.